If you or a loved one suffers from endometriosis, you don’t need me to tell you how painful and debilitating the condition can be. You also probably don’t need me to tell you that conventional medical interventions for endometriosis are limited—and far from ideal. There are some things science knows for sure about endometriosis—for example, that the condition involves inflammation, estrogen excess, and an abnormal immune response—but one of the things science doesn’t know about endometriosis is the best way to treat it. To date, Western medicine’s best tools for dealing with endometriosis are non-steroidal anti-inflammatory drugs (NSAIDs) like ibuprofen or surgery. Both strategies are for pain control; neither one addresses root causes of the condition. But no woman with endometriosis needs to live without hope. Lifestyle strategies for reducing inflammation, strengthening the immune system, supporting the liver, and balancing hormones can make a huge difference in reducing symptoms and improving quality of life. It is a painful, sometimes debilitating, condition that affects as many as one in 15 percent of women ages 15 to 44 in the United States. Endometriosis happens when endometrial tissue, which is normally found in the uterus, grows in places outside the uterus—places where it shouldn’t be. Most of the time this misplaced endometrial tissue lands on the ovaries or fallopian tubes or, painfully, on the abdomen. Because endometrial tissue responds to the same hormonal shifts that trigger the menstrual cycle, the pain associated with endometriosis will follow the same 28-day cycle as your period. Astonishingly, and sadly, many women with endometriosis aren’t diagnosed right away. The average delay in diagnosis is almost seven years. Seven years! This means many women suffer with terrible, sometimes crippling, endometriosis-related pain for the better part of a decade, thinking that it is just severe period problems. Endometriosis can happen to any menstruating women. But why the condition strikes some women and not others is not entirely clear. Some women may be genetically predisposed. Two other factors are: (1) a faulty immune system response—in women with endometriosis, the immune system fails to destroy the endometrial tissue that lands outside the uterus—and (2) excess estrogen in the body. Unfortunately, and simply by virtue of the world we live in today, excess estrogen in women (and many men) is more the norm than the exception. Inflammation also plays a role. And inflammation, like estrogen excess, is driven by lifestyle. What we eat and the toxins we are exposed to (and how well our bodies can detox them) drive inflammation and hormone imbalances. You can work to reduce inflammation, balance hormones, and support your immune system with food and lifestyle. 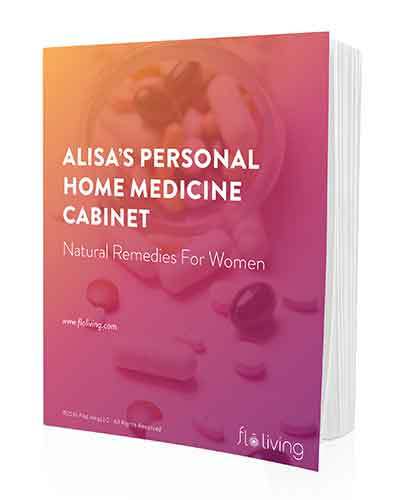 Here’s what I recommend for helping ease endometriosis symptoms. Replace standard laundry soap with green alternatives. You can now find many clean alternatives on the shelves of big box stores, sitting side by side with the old (toxic) standbys. Clean alternatives are comparable in price and work just as well. You can opt for unscented products or products that have been scented with natural fragrance. Replace household cleaning products with clean alternatives. You can buy effective products at almost all big box stores or you can make your own, which is cheaper and healthier. The main ingredients in most DIY cleaning products are vinegar and baking soda. Take off your shoes at the door (and ask your guests to do the same). A lot of pesticides and other hormone-disrupting chemicals are tracked in on the bottom of shoes. Stopping those chemicals in their tracks is a great way to protect yourself! Just say no to pesticides and other chemicals in your food. Shop organic exclusively if you can. If you are on a budget, avoid the dirty dozen (or buy them organic) and feel okay about buying the clean 15 even when not organic. Emphasize dark leafy greens, cruciferous vegetables, low-glycemic fruits like berries and other high-fiber foods to support gut health and help your liver carry out important detox functions. The liver is responsible for breaking down and eliminating excess estrogen, and cruciferous vegetables directly support that detox process. Eat more healthy fats like those found in olive oil, coconut oil, and avocados. Healthy fats help support healthy hormone ratios in the body. Emphasize lean animal protein over other kinds of meat. They are less inflammatory. Limit red meat. Studies have linked red meat consumption with increased risk for endometriosis. Help kick your immune system into high gear with immune-supportive foods like carrots, kale, cabbage, broccoli, beets, artichokes, lemons, onions, garlic, and leeks. Limit sugar. Sugar fuels inflammation. Use targeted herbal support to further support liver detox and speed up estrogen metabolism. Think milk thistle, flax seeds, and dandelion root. Take evening primrose oil to decrease inflammation. Reduce or eliminate dairy, wheat, alcohol, and caffeine to improve your immune response. Take a probiotic to rebalance gut flora and support estrogen metabolism. Use Vitex and a B6 supplement daily to balance out excess estrogen. If you consult a doctor for your endometriosis, ask some key questions. If you’re reading this article because your friend, sister, or family member is struggling with this condition, share this article with her! Too many women believe the myth that endometriosis has to ruin your life every month. And always remember, that once you have the right information about how your body really works, you can start making health choices that finally start to work for you! You can do this – the science of your body is on your side! Happy new year! I love all of your tips. I only have one question. I eat the Flo Living way and it works. It’s very healthy but sometimes I don’t have time (or the money sometimes) for the extras and it can be rather bland. Like the difference between eating guacamole (yum!) and sliced raw avocados (stll yummy, but in a different way). I’m used to it, but not having so much fun with my food lately. I feel great hormone-wise but I don’t always want to eat. What do you suggest for someone who still wants to Flo but has less time and money for the extras? Hi A, I love guac and still make it with fresh lime juice, garlic and cilantro. I have been eating an anti-inflammatory diet since October and I find lots of tasty recipes on blog sites, Instagram, Pinterest, and Facebook groups, especially the paleo recipes. If something has an ingredient I don’t eat I just tweak it! Be well! As for time, do you eat/drink smoothies? They are my go-to when I don’t have time or I’m not really sure what I want to eat. You can throw tons of veg, nuts, seeds, even oats in there to make it a full meal. You can even get a clean source of plant-based protein powder if your body works well with extra protein. Hi Alisa – thank you so much for the article on endometriosis and spreading the power of food! Dietary changes have really helped my pain levels and digestive distress that is so common with this condition. I have found the same problem….especially with flaxseeds. I have fibroid tumors, which are caused by estrogen as well. I have found that flaxseeds caused the hemorrhaging to be significantly increased. Curious as to the evening primrose. I have been taking them and have found I am getting headaches, which I am not usually prone to. I lost a significant amount of weight back in my twenties using EPO, but that was when I wasn’t having hormonal problems. I have been trying them again in my late thirties and have found that the inflammation has gone down in the body. However, I would not want to be taking anything that could possibly be making the tumors grow. I’d love to know about the estrogen flax seed connection too. This is the third time I’ve asked this question and it never gets approved or answered! How rude! Why ask people to leave comments if you’re not going to reply??? Great article, I recently started my FLO journey! Question: How does using flax seeds to enhance breakdown of estrogen work, as flax does contain (plant) estrogen itself? I had 30 years of extreme pelvic pain from endo. Now I’m post-meno no pain!!! ANyway, I was told that EPO can go either way in the prostaglandin pathways: anti or pro-inflammatory, so that’s why it can trigger more pain for some. 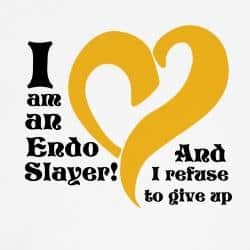 I have just recently being diagnosed with endo after about 15 years of so. I am trying to make a change in my diet and have added a water filter to my water faucet to remove possible chlorine. What do you recommend on this? A water filter is a great idea! I just had surgery to remove a fibroid tumor and severe endometriosis was found. It was removed and I’m now 6 weeks post op and wanting to make sure I get myself in line and keep the endometrioisis at bay so I can get pregnant! I want to make sure I’m doing everything as naturally as possible. I have to wait 3-6 more months to make sure my uterus is strong enough for child bearing before we can try again, from the removal of the tumor…but at the same time, the endo could be creeping it’s way back. My doctor suggested lupron and progesterone creams to suppress the endo, but I don’t really want to take anything that may mess with my natural ovulation cycle. I was having great ovulations and my cycles were fairly normal before my surgery…which is why the endo diagnosis was so shocking to me. But my doctor said I had probably had it since my teens. Alisa, what do you suggest I do? I’ve read this article, but I feel that I need more info on what everything does. I understand the food side of it and I eat a lot of healthy fats. I think I need to do a little better on the meat and dairy side…I eat red meat maybe 1-3 times a week. I need to understand more about the supplement side and other things I should be doing. Hopefully in 3 months we can start trying again, so I want to make sure my body is as healthy and ready as possible! Hello Edo sufferers I have endometriosis and adenomyosis very bad but I found that a raw diet is the way to go. No cooked food, + vetamins and herbs ofcourse . I plan to do this for 1year to see if it will help shrink it. I will post you ladies on the progress in a few months. Thank you for sharing. I’m eating more veggie and lean Protein/meat. For some reason my body craves steak around the time of my cycle. I must agree that plenty of raw vegetables help in alleviating some of the symptoms with endo. I celebrate Flo Living’s mission, and I rely on diet as an essential component to feeling my best and protecting my health (particularly menstrual health)! So I’m saddened to see a click-bait headline here and an article rife with misinformation about this disease. Ladies, I’m 100% with you in taking power where we can to control as much of this disease as we can!! Heck yes! Diet is a huge part of that. A lot is unknown and unproven about this disease, but as far as we know It is NOT ‘reversible’ via personal habits. Diet can certainly lessen symptoms of it like pain (and heck maybe even slow or stop its growth by reducing systemic inflammation and/or estrogen ?? (emphasis & optimism mine)). Endo causes a lot of constant inflammation, so your body needs all the help it can get in reducing inflammation in other ways. But based on the literature out there, diet will not make it shrink or disappear. Excision surgery with a highly trained specialist is the best chance at elimination and has the lowest recurrence rate. To all you ladies who are looking for the best solution, take control via your diet ANNND see a dedicated endometriosis *specialist*. Get multiple opinions. Get feedback on whether excision surgery is the best thing for you or if alternative management is. Excision surgery is proven to be the closest thing we have to a ‘cure’ right now. Make sure the surgeon does loads of endo surgeries consistently (e.g. over 200/year), and ideally s/he focuses almost exclusively on endo surgeries. Never ever let them take out your uterus unless it is an absolute last resort!